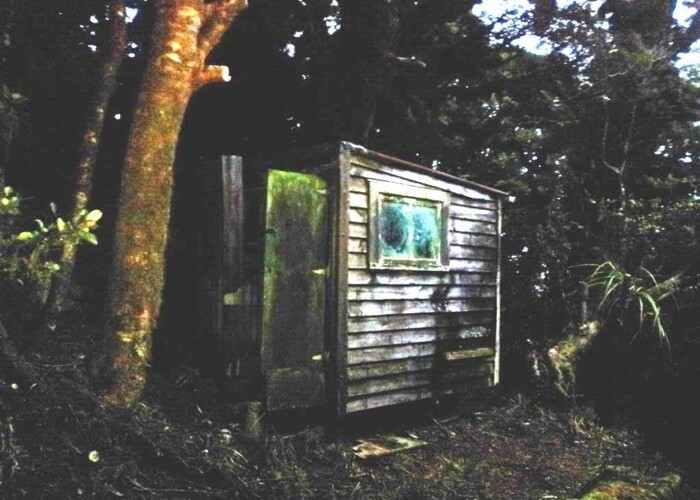 An unmarked hut in the Ngatiawa catchment behind Waikanae. 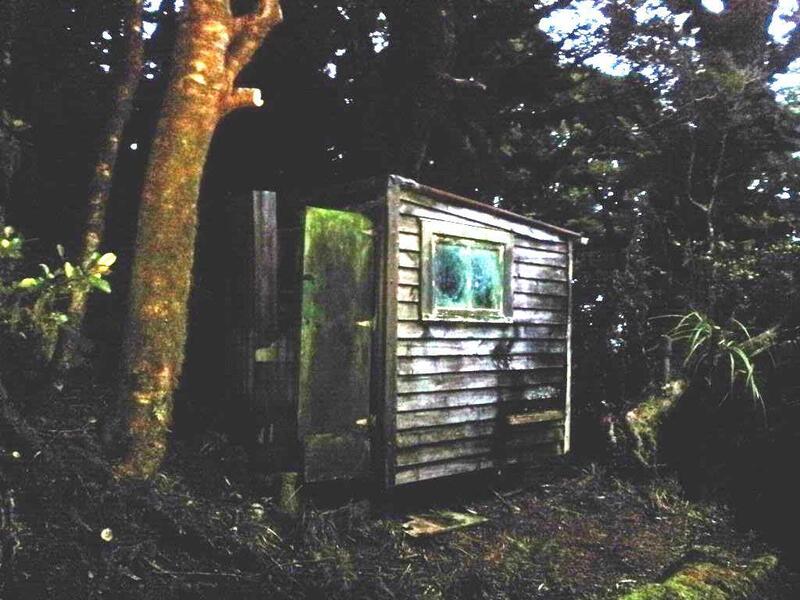 The hut is at about 900m, in mature bush, and about 100 vertical meters below the clear / scrub that tops the Kapakapanui range. Hopefully that's enough information for anyone who knows the hut to recognise it. I'd be happy to be given the correct name for this hut, and any history anyone has. When I first heard of it some time back I was told it was constructed by a possumer - so for now that can be the working-name. Taken me a long time to find it though ... and when I did it was in the dark, off track, by torchlight! Added 3 August 2012 by madpommadpom. 4 revisions, most recently 23 August 2012 by madpommadpom.